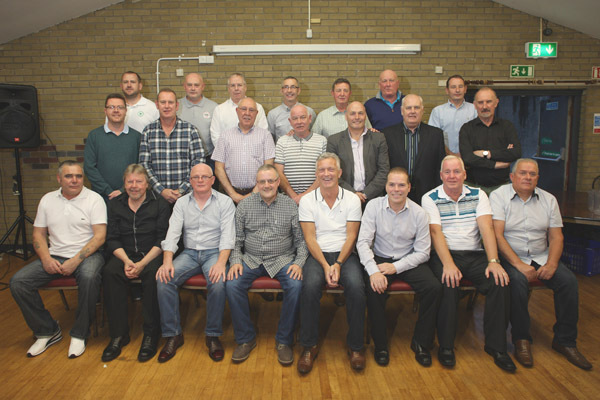 A WILDLY successful junior team based in the New Lodge that was seemingly lost to history after a merger in the 1980s has been reformed after thirty years in a tribute to the players and management. Ashton Gate started as a breakaway from Malachians in the early-80s but soon found its feet in the Dunmurry League. They lasted only four years – but what a four-year spell that was! Kevin Crossan is the man behind the relaunch and he told us there were a number of reasons behind the team’s return – not least as a way of paying tribute to his late father. On the pitch, it wasn’t long until they made their mark. If their skill on the pitch was unrivalled, the situation away from the turf was somewhat less clear. With no ground and a lack of facilities, growth was going to be difficult. Then came a big offer. The proposed merger would catapult the talented players into a much higher league, but the trade-off was that Ashton Gate would cease to exist. Proof of the standard at Ashton Gate came when Cromac Albion went on to win back-to back-league titles. The merger was such an on-field success that the name Ashton Gate faded into a memory. Almost 30 years later, with children of his own, Kevin said he decided to resurrect the name. “I was a 16-year-old during the merger and I loved the old team. So when my son said he was interested in playing I thought about bringing them back. I phoned round a couple of the original players and told them my plans and asked them how they’d feel. About half a dozen of them all agreed because it would be like a tribute to my dad. One fella, when I phoned to tell him of the plans, the line wasn’t great and he thought I was telling him someone else was using the name. He was raging until I explained. Even though it disappeared, the name is still sacrosanct. Ashton Gate was officially relaunched in Cliftonville Bowling Club at a dinner attended by original members and representatives of the South Belfast Youth League. Having got up and running, Kevin says he has some goals he wants to achieve. He said everything would be done on a democratic basis.